Happy Monday Dolls! After Champagne Sunday, Smoothie Monday is a must! 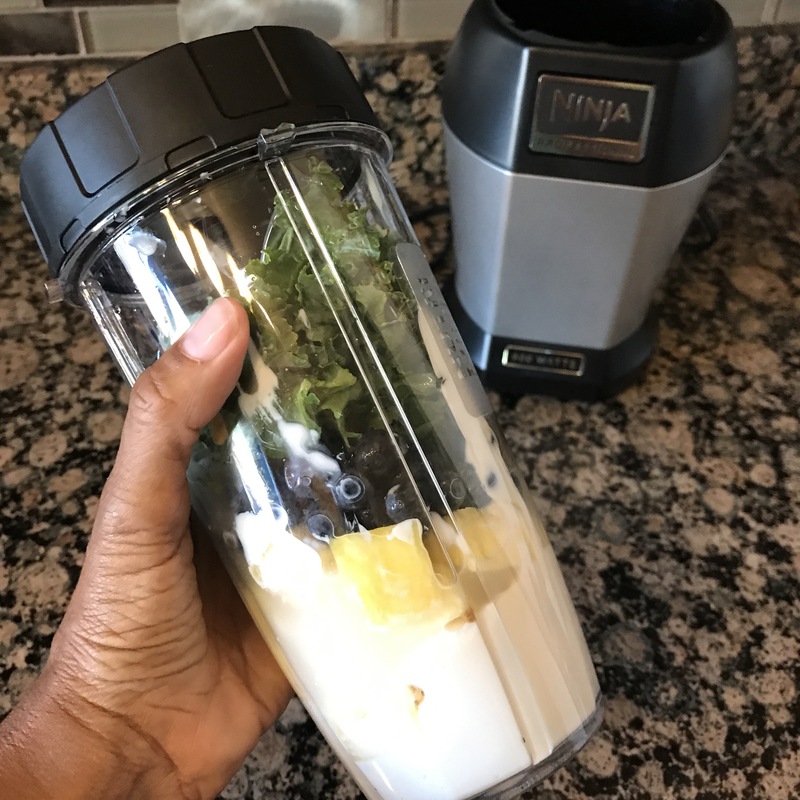 Today’s Smoothie Monday recipe is the Flat Belly Smoothie! If the name doesn’t motivate you, I don’t what will. I tried it yesterday and it was so yummy. Sweet, but with ingredients that are super healthy for you, the Flat Belly Smoothie fights belly fat and bloating. Make it your Monday morning smoothie choice. Peep the mixology below. Yep, I am putting my Nutri Ninja to good use. The Mixology. Place all the ingredients in a blender, and mix until smooth. Enjoy immediately. Thanks Lynnie! Will try this in the am! !